Cyril Lodowic Burt (March 3, 1883 – October 10, 1971) was an British psychologist, famous for his claims that genetics substantially influences mental and behavioral traits. Burt's work incorporated statistical analysis of large quantities of data, allowing him to identify the factors involved in intelligence. According to his data, Burt found a general intelligence factor that was primarily hereditary. Thus, he claimed that individual differences in intelligence were innate, inherited from one's lineage. He also found, though, that behavior, such as juvenile delinquency was primarily dependent on environmental factors. Based on his findings, Burt advocated for and was instrumental in the development of the Eleven-Plus examination system which screened children, identifying those of higher intelligence in order to provide appropriate education that would allow them to best develop their innate ability. However, later researchers failed to replicate Burt's findings, and investigations of his data cast doubt on their authenticity. Despite accusations of fraud, Burt, the first psychologist to receive a knighthood, has retained his reputation as the pioneer of educational psychology in Britain. His understanding that each person's individual potential is innate, inherited through their lineage, but their achievement of this potential depends on their environment, has stood the test of time. Cyril Lodowic Burt was born in St. Georges, Hanover Square, Westminster, London (some sources give his place of birth as Stratford-upon-Avon; in fact the Burt family moved to the village of Snitterfield in the Stratford-upon-Avon district of Warwickshire when he was ten). Early in his life, he showed a precocious nature, so much so that his father, a physician, often took the young Burt with him on his medical rounds. One of his father’s more famous patients was Darwin Galton, brother of Francis Galton. The visits the Burts made to the Galton estate not only allowed him to learn about the work of Francis Galton, but also allowed them to meet on multiple occasions. Through these experiences, Burt became strongly drawn to his ideas, especially to Galton's studies in statistics and individual differences, areas in which Burt later become famous. At the age of 11, Burt won a scholarship to Christ's Hospital, where he first developed his appreciation of psychology. Not long after, he won a classical scholarship to Oxford University, where he specialized in philosophy and psychology, the latter under a fairly new faculty member, William McDougall. McDougall, knowing Burt’s interest in Galton’s work, suggested that he focus his senior project on psychometrics (which was not then an official discipline), thus giving Burt his initial inquiry into the development and structure of mental tests. In 1901, McDougall was appointed the secretary of the British Association Committee that planned to carry out, at Galton’s suggestion, a nation-wide survey of physical and mental characteristics. McDougall invited Burt to help him with this project along with J.C. Flugel, William Brown, and later Charles Spearman. In 1908, Burt obtained his teacher’s diploma and subsequently took up the post of lecturer in psychology and assistant lecturer in physiology at Liverpool University, where he was to work under famed physiologist Charles Sherrington. While at this post, Burt was able to further both his knowledge of how human anatomy and physiology affect human psychology as well as his interest and research into individual differences. In 1908, he spent several months in Germany, where he studied psychology under Oswald Külpe at the University of Würzburg. In 1913, Burt took the position of a school psychologist for the London County Council (LCC), which was in charge of all the London schools. Initially, Burt’s appointment was only a part-time position, which allowed him to use the rest of his workweek gathering and publishing data. During his tenure at the LCC, Burt gathered so much data that he was still publishing it long after he retired. 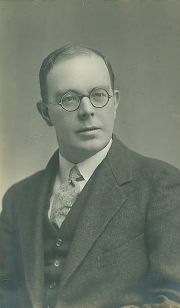 In 1931, he resigned his position at the LCC when he was appointed professor and chair of psychology at University College, London, taking over Spearman's position. He stayed there until 1950. Burt retired in 1950, but continued to write, publishing around 200 works after his retirement. He died in London, in 1971, at the age of eighty-eight. Burt remains most famous for his work on intelligence, juvenile delinquency, and the development of a variety of tests and assessments. In his studies, he pioneered the statistical method of factor-analysis, which was rather novel in the time when psychology struggled to part from philosophy and psychiatry, moving to become an independent discipline. At that time, already a few researchers, such as Francis Galton, Karl Pearson, and Charles Spearman, used factor analysis in studying human intelligence. Burt developed new statistical techniques, and applied them to his research in this field. One of the first studies Burt conducted was his 1909 study of intelligence of boys enrolled in elite schools versus boys enrolled in regular schools. Based on the results, he concluded that the elite-school boys had higher innate intelligence, which they inherited from their parents. In another study of intelligence, this time of gender differences in intelligence, Burt concluded that girls were equal to boys in general intelligence, a belief that was different from contemporary claims in Burt’s time. That children of better social status succeed better with the Binet- Simon scale is not necessarily an objection to that scale; nor is it necessarily a ground for constructing separate norms: For, by birth as well as by home training, children who are superior in social status may be equally superior in general ability. Conversely, if a child proves defective according to a scale that is otherwise authentic, the mere fact that his family is poor and his dwelling a hovel does not of itself condone his deficiency. His parents' home may be mean precisely because their hereditary intelligence is mean. Whether poverty and its accompaniments affect the child's performances in any direct fashion-whether, for example, in the Binet-Simon tests a child that inherits an abundance of natural ability may be handicapped through a lack of cultural opportunities-is a further and a separate issue (Burt, 1921, p. 192). His most influential research in the area of intelligence involved the study of twins. In the period from 1943 to 1966, he conducted several studies on identical twins who had been raised apart. Almost every study revealed that twins' intelligence test scores were extremely similar, pointing to the conclusion that nature, not nurture, played the key role in intelligence. It was his research on twin studies that created the most controversy. After his death in 1971, many researchers tried unsuccessfully to repeat or verify Burt’s data. Many started to accuse Burt of fabricating data to conclude that intelligence is genetically determined. The possibility of fraud was first brought to the attention of the scientific community when Oliver Gillie (1976) and Leon Kamin (1974) noticed that Burt's correlation coefficients of monozygotic and dizygotic twins' IQ scores were the same to three decimal places, across articles, even when new data were added to the samples of twins. Leslie Hearnshaw (1979), a close friend of Burt and his official biographer, concluded after examining the criticisms that most of Burt's data from after World War II were unreliable or fraudulent. In 1976, London's Sunday Times claimed two of Burt's collaborators, Margaret Howard and J. Conway, did not exist but were made up by Burt himself. They based this on the lack of independent articles published by them in scientific journals, and the fact that they only appeared in the historical record as reviewers of Burt's books in the Journal of Statistical Psychology when the journal was redacted by Burt. Supporters have claimed that these assistants have since been located. Many of Burt's supporters believe the discrepancies were mostly caused by negligence rather than deliberate deception. In 1995, Cambridge University professor of psychology Nicholas Mackintosh (1995) edited a volume which found the case against Burt "not proven." In addition to his work on intelligence, Burt studied juvenile delinquency. Interestingly enough, unlike his claims of intelligence, he believed that delinquency was almost completely environmentally determined. While working at the Liverpool University, he spent many hours in the University Settlement, a housing project designed by the University for research purposes. Based on his experience there, Burt concluded that environmental conditions lead to social and legal problems, and that inheritance played a minor role in delinquency. In addition to his delinquency studies, Burt was responsible for the creation of the "Eleven-Plus" program, a national testing program that aimed to identify bright children from all socioeconomic levels. Burt believed that all children, regardless of their socioeconomic status, should have the same educational opportunities. He thus advocated for the creation of a system that could identify intelligent children and help them in their education. The Eleven-Plus examination was created for that purpose. The name “Eleven” denotes Burt’s belief that intelligence is not entirely formed until children reach approximately age of eleven. A version of this program is still in use in the United Kingdom today. Burt used his ideas on intelligence in studies on race. He was a proponent of eugenics and was a member of the British Eugenics Society. He believed that European races were intellectually superior to other races. He did not, however, attribute that difference entirely to genetics, leaving significant room for the influence of environment. Cyril Burt left a significant mark on the development of psychology as an independent field of study. He expanded the statistical technique of factor analysis, making psychology more scientific. He developed the field of educational psychology in Great Britain through creating a system that could identify both “gifted” and mentally retarded students. His Eleven-Plus testing program is still used in Great Britain today. Burt propagated the hereditarian position, where “nature,” not “nurture,” plays the key role in individual development. Regardless of whether it was fraudulently obtained, Burt's twin data, such as the IQ correlation between twins, .77, is similar to modern estimates by psychologists and geneticists. For example, the American Psychological Association's 1995 task force concluded that within America's white population the heritability of IQ is “around .75” (75 percent), and more recent genetics textbooks give the figure at roughly 80 percent (Plomin et al. 2001). Burt had a large influence on many leading psychologists, including Raymond Cattell, Hans Eysenck, and towards the end of his life, Arthur Jensen. Since he had suggested in 1946, the formation of an organization for people with high IQ scores, he was made honorary president of Mensa International in 1960, in a gesture of recognition. Burt, C.L. 1921. Mental and Scholastic Tests. London: P.S. King and Son. Burt, C.L. 1925. The Young Delinquent. London: University of London. Burt, C.L. 1940. The Factors of the Mind: An Introduction to Factor Analysis in Psychology. London: University of London. Burt, C.L. 1946. Intelligence and Fertility. London: Eugenics Society/Hamish Hamilton. Burt, C.L. 1949. "An Autobiographical Sketch." Occupational Psychology, 23, 9-20. Burt, C.L. 1957. The Causes and Treatments of Backwardness. London: University of London. Burt, C.L. 1958. "Definition and scientific method in psychology." British Journal of Statistical Psychology, 11, 31-69. Burt, C.L. 1958. "The inheritance of mental ability." American Psychologist, 13, 1-15. Burt, C.L. 1959. "General ability and special aptitudes." Educational Research, 1, 3-16. Burt, C.L. 1960. "The mentally subnormal." Medical World, 93, 297-300. Burt, C.L. 1961. "Factor analysis and its neurological basis." British Journal of Statistical Psychology, 14, 53-71. Burt, C.L. 1963. Is Intelligence Distributed Normally? The British Journal of Statistical Psychology, 16(2). Retrieved October 19, 2016. Burt, C.L. 1971. "Quantitative genetics in psychology." British Journal of Mathematical & Statistical Psychology, 24, 1-21. Burt, C.L. 1972. "Inheritance of general intelligence." American Psychologist, 27, 175-190. Burt, C.L., & Gregory, W.L. 1958. "Scientific method in psychology: II." British Journal of Statistical Psychology, 11, 105-128. Burt, C.L., & Williams, E.L. 1962. "The influence of motivation on the results of intelligence tests." British Journal of Statistical Psychology, 15, 129-135. American Psychological Association. 1996. "Intelligence: Knowns and unknowns." American Psychologist. Banks, C. & P.L. Broadhurst (eds.). 1966. Stephanos: Studies in Psychology Presented to Cyril Burt. New York: Barnes & Noble. Lamb, K. 1992. "Biased tidings: The media and the Cyril Burt controversy." Mankind Quarterly, 33, 203. Rowe, D., & R. Plomin. 1978. "The Burt controversy: The comparison of Burt's data on IQ with data from other studies." Behavior Genetics, 8, 81-83. Rushton, J.P. 1994. "Victim of scientific hoax (Cyril Burt and the genetic IQ controversy)." Society, 31, 40-44. Francisco Gil-White. 2004. Resurrecting Racism: The modern attack on black people using phony science.—Article about Cyril Burt, IQ testing and Eugenics. Parrington, J. 1996. The intelligence fraud. Socialist Review, 196. This page was last modified on 21 November 2017, at 15:33.